Pre-Order Sideshow's Deadpool Premium Format Figure! 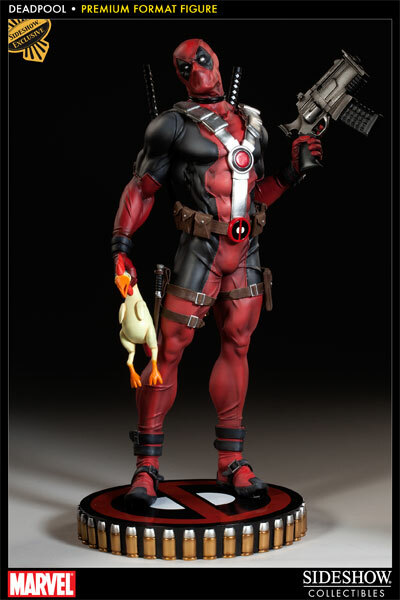 Sideshow's Deadpool Premium Format Figure is now up for Pre-Order at Sideshow Collectibles! It's been confirmed that the chicken (stuffed with dynamite) is the exclusive - so if that was putting you off this great piece you can now feel free to order as he can be displayed poultry free! Are you ordering? Tell us in the comments - or go to Sideshow and order now!